I like talking about myself, duh I have a blog. But right now it's my moment to brag. 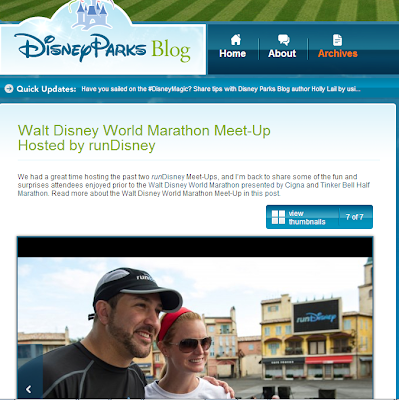 Of the who knows how many photos taken at the Walt Disney World Marathon Meetup, my photo with Joey Fatone was selected to appear on the runDisney blog, recapping the amazing event. I never expected to see my big grin on this site. Thank you runDisney, you made my week! Also, 100 thank yous to Rachel (runnerstales.com) who brought this to my attention.